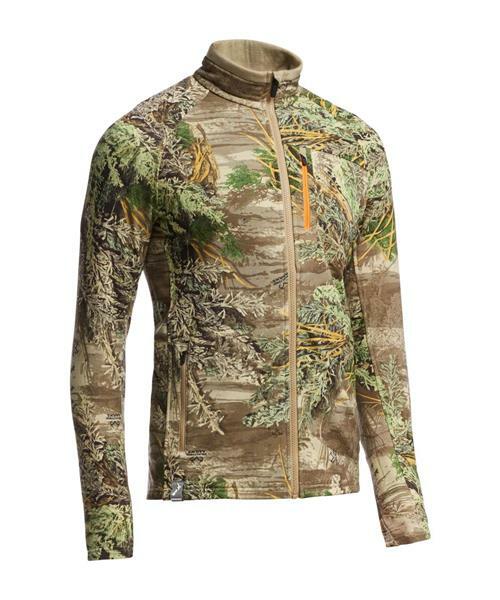 When you want serious warmth and breathability, reach for the Men's Sierra Long Sleeve Zip Real Tree. A superior solution to synthetics, Icebreakers RealFLEECE® has recycled merino fiber wrapped around a Nylon core, then brushed to maximize warmth and softness. With a hint of LYCRA®, the Sierra fits like a charm and is built for performance, keeping out the cold when you're hiking, skiing or waiting in a blind, but always breathable and resists odor day after day. Feel the difference and you'll be a convert.